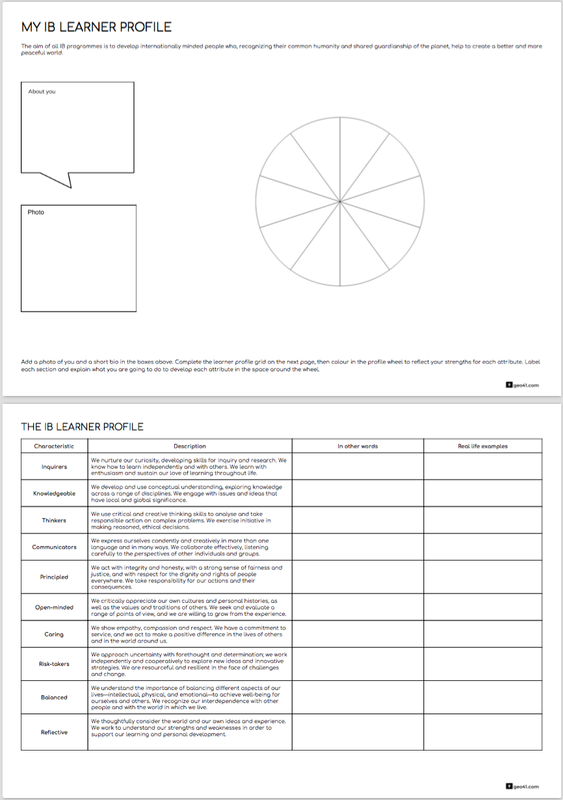 This resource is designed to get students reflecting on their strengths and areas for development as learners in the IB programme. The pie chart is designed to be coloured in according to students' self evaluation, from maximum to minimum. 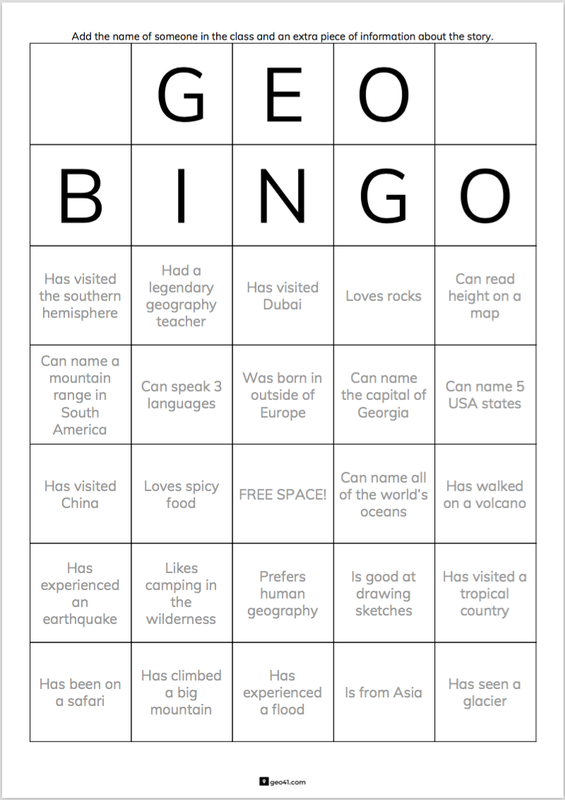 Great activity for the start of the year to find out information about the students in your class, as well as their world connections and geography-related experiences. Students must ask each other questions and add the name of someone in the class as well as some extra info about the story. You can only use their own name once! 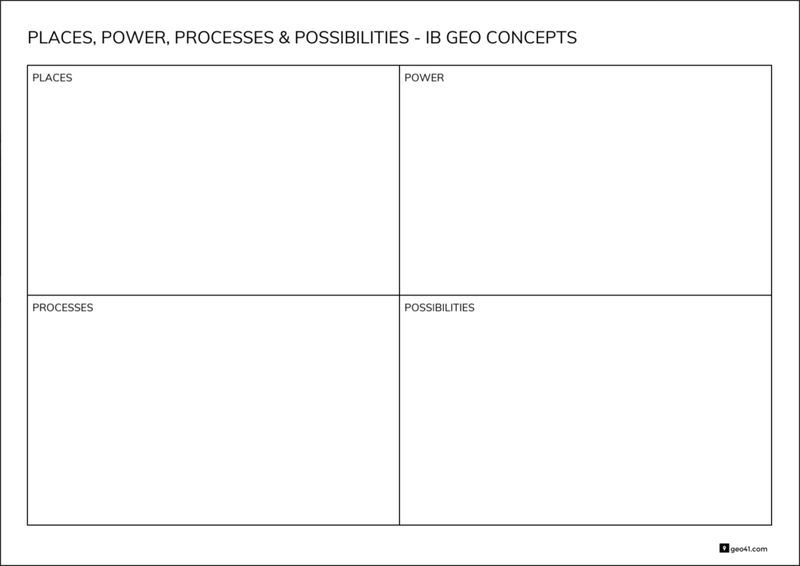 A visual presentation and writing frame to introduce IB geography students to the core concepts.